Car shopping in the Bastrop area? You’ll find an excellent stock of vehicles in the new vehicle inventory at Sames Bastrop Chrysler Dodge Jeep Ram. We have a wide selection to choose from, including popular models like the durable RAM 1500, or the rugged and luxurious Jeep Grand Cherokee. Browse our inventory below, and contact us today with any questions you may have! * MSRP is the Manufacturer’s Suggested Retail Price (MSRP) of the vehicle. It does not include any taxes, fees or other charges. Pricing and availability may vary based on a variety of factors, including options, dealer, specials, fees, and financing qualifications. Consult your dealer for actual price and complete details. *Pricing does not include $1,595 NVPP on all new vehicles. 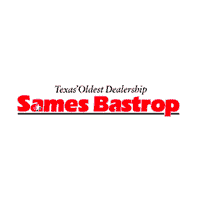 Why Buy a New Chrysler, Dodge, Jeep, Ram at Sames Bastrop Chrysler Dodge Jeep Ram? Once you’ve found the perfect vehicle for you, visit our Chrysler, Dodge, Jeep, Ram dealership near Del Valle to get the car buying process started. Before visiting, you can take some time to determine your monthly payments with our online auto finance calculator!